Comment: I would like quotes for install of 2 ruud 97% energy efficient achiever series heaters and removal of old units and 2 ruud ac units at least 2.5 tons and high efficiency air filters and removal of old units. Ac pads are in place. Cash terms. Comment: Building a garage/work shop behind home. 420 sq. ft. I would like information and a quote for cement floor heating. Comment: Replace batteries in thermostat. Comment: I've been told that my heat exchanger will need replacement soon. It is still under warranty. 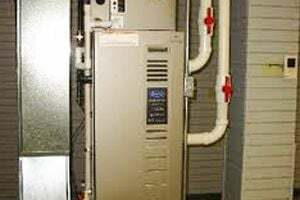 The furnace is a Trane American Standard 80% afue 80,000 gas. Comment: No heating on first level of home. Heating is using auxiliary heat to heat home. Possible dual zone system needed. Woodstock Heating & Furnace Contractors are rated 4.75 out of 5 based on 1,593 reviews of 27 pros. Not Looking for Heating & Furnace Systems Contractors in Woodstock, GA?